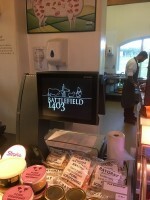 Battlefield 1403 is much more than just a farm shop. It is one of the best butcheries in the UK, a well-stocked deli counter, a shop full of speciality great tasting local food and drink, a museum celebrating the Battle of Shrewsbury, a Falconry Centre, a Woodshed, and a café full of homemade fresh food. Our Farm Shop stands on a site rich in history. Over 600 years ago one of the bloodiest battles was fought here. The Farm Shop provides an outlet for a range of excellent foods which are sourced locally. They have low food miles, full traceability and great taste. Seasonality, freshness and high standards of production are important to us. 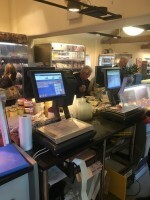 As part of our ongoing desire to improve our customers’ shopping experience, we decided to install state of the art weighing scales and touchscreen tills, which were supplied and fitted by Lakeland Computer Systems Limited and Bizerba Limited. Through Lakeland, we were introduced to Focus Leasing who were able to offer us an affordable and easy way of purchasing the systems. Focus took the time to understand our business and made the buying process smooth and hassle-free. Within a couple of hours we were advised of the credit application being approved. We were unsure whether two separate suppliers could be catered for under one transaction, but Focus were able to accommodate each company’s individual invoicing requirements and were happy to arrange staged payments. With the finance being approved, both suppliers arranged installation dates that fitted around our work hours, with no time pressures on us to get invoices paid. Once everything was complete, Focus got in touch with us again to make sure we were totally happy, before releasing final payments. It was that easy! Now we have a fixed monthly payment that can be budgeted for, rather than accounting for one large cash outlay. We would highly recommend Focus to other businesses looking at investing in equipment for their business. I would recommend Focus Leasing to everyone I know and would not hesitate to call them in the future to arrange finance for me. The process was easy, they were fast and the procedure was very straightforward.